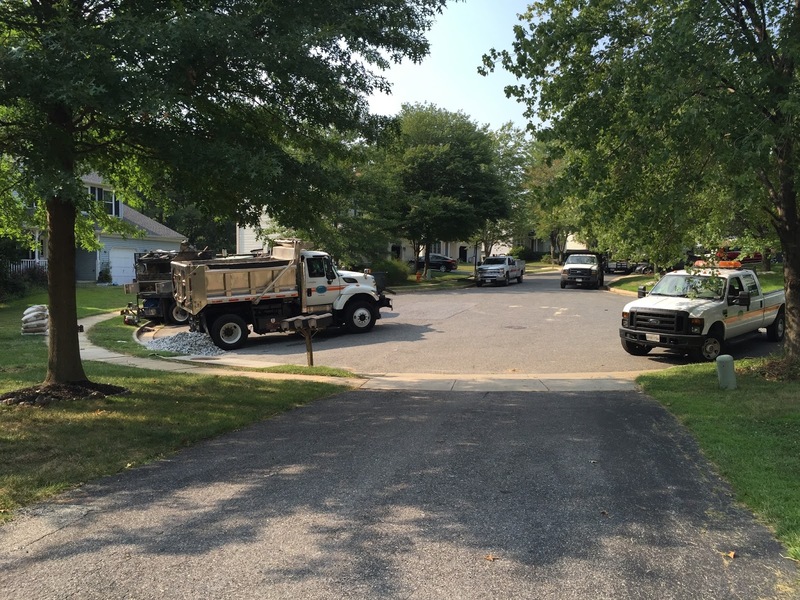 I was gratified to see the response from Howard County to the sewer line break. They worked to repair and stabilize the line for almost 30 hours--straight. 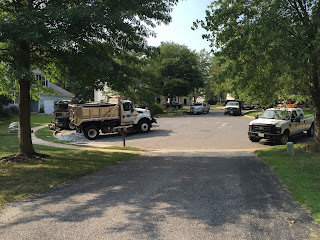 At one point last evening there were ten trucks and assorted pieces of heavy equipment in the neighborhood. My neighbors who live right next to the break were not too amused at the sound of heavy machinery during the night, but it was a serious bio hazard. 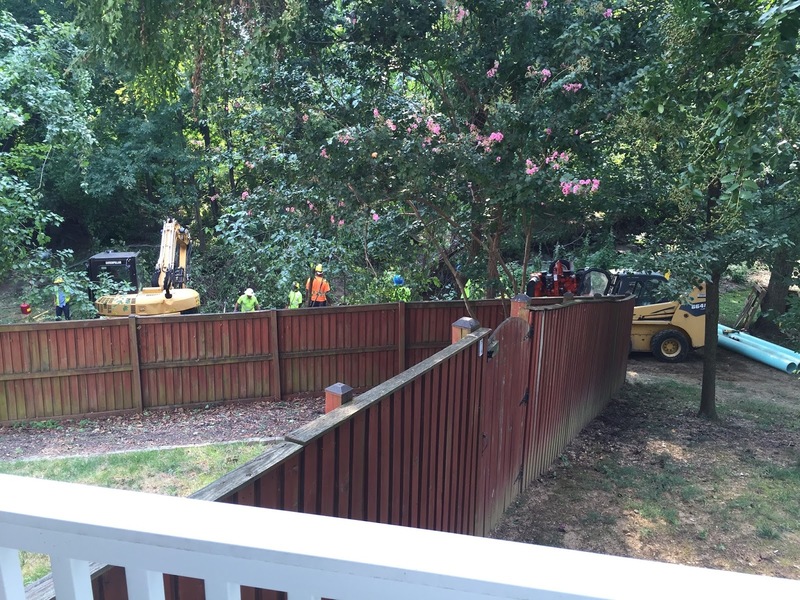 the work is going on right outside their fenced yard. Theirs is the house in the picture below. I am told that the EPA will be out to inspect the work. Last evening, the odor in the air was the worst it has been. I guess they were digging up the muck. I would not have wanted to be the workers. We provided them with a couple 12-packs of soda last evening to help mitigate the hot and humid conditions. I'm glad the sewer line is repaired. Today, hopefully, will be devoted to clean up. I have not observed any clean-up of the stream. I worry about the impact on the wild life and the potential for disease. I guess I will have to look into that in the coming days. The workers did say that they would be putting lime into the water as a mitigation strategy. I was also told that the worst is yet to come. Apparently, the county will be letting a contract to relocate the sewer line, as I reported yesterday. 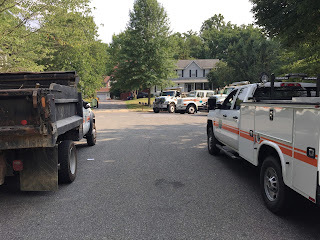 That will likely cause the loss of many of the trees that I enjoy that border our property and shield us from the warehouses and light industry on Troy Hill.